Covercraft Pet Pad Cargo Area Protector - Khaki - 40" x 32"
This universal-fit, reversible pet pad and cargo area protector has a soft, quilted side to ensure your pets are comfortable on long trips. 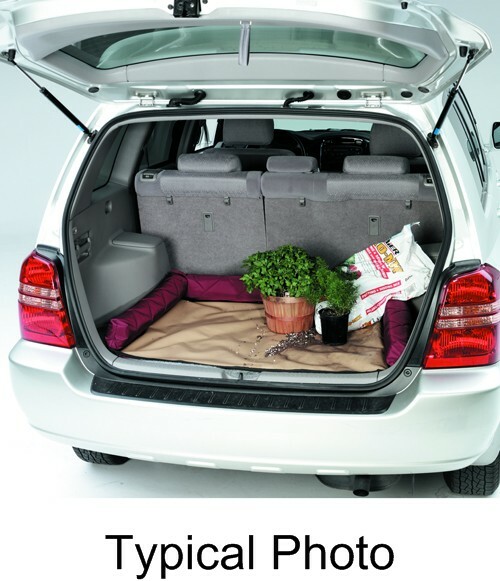 The heavy-duty vinyl side is perfect for transporting wet pets or hauling dirty cargo such as mulch or plants. Lowest Prices for the best pet supplies from Covercraft. 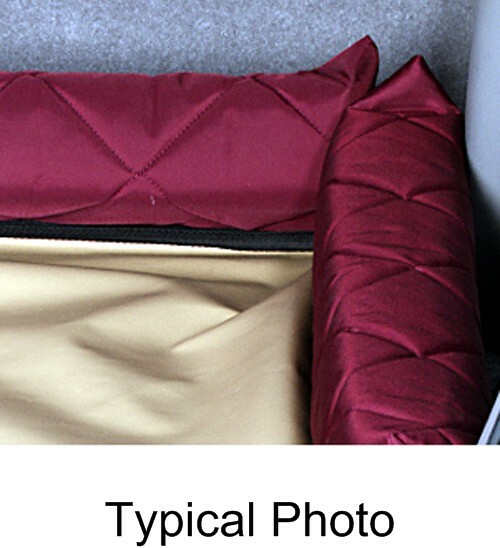 Covercraft Pet Pad Cargo Area Protector - Khaki - 40" x 32" part number KP00030TN can be ordered online at etrailer.com or call 800-298-8924 for expert service. 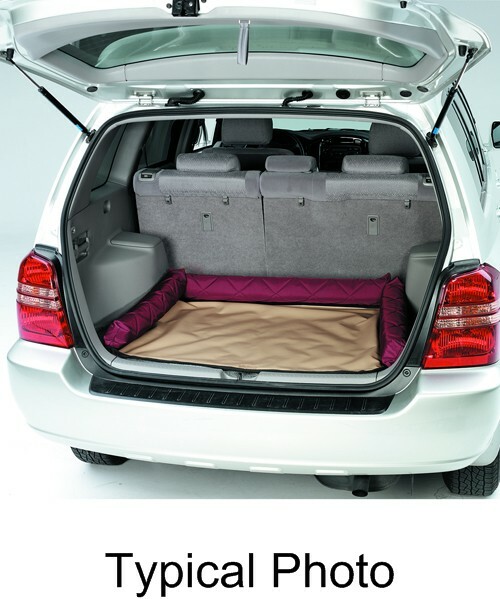 This universal-fit, reversible pet pad and cargo area protector has a soft, quilted side to ensure your pets are comfortable on long trips. 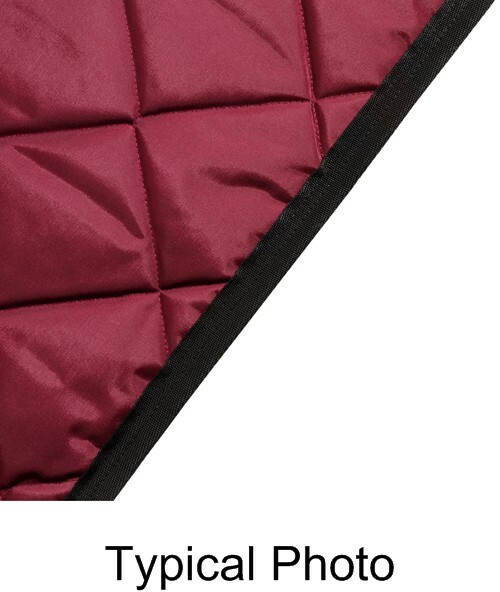 The heavy-duty vinyl side is perfect for transporting wet pets or hauling dirty cargo such as mulch or plants. WARNING: This product can expose you to chemicals including Formaldehyde (gas), which is known to the State of California to cause cancer. For more information, go to www.p65warnings.ca.gov. 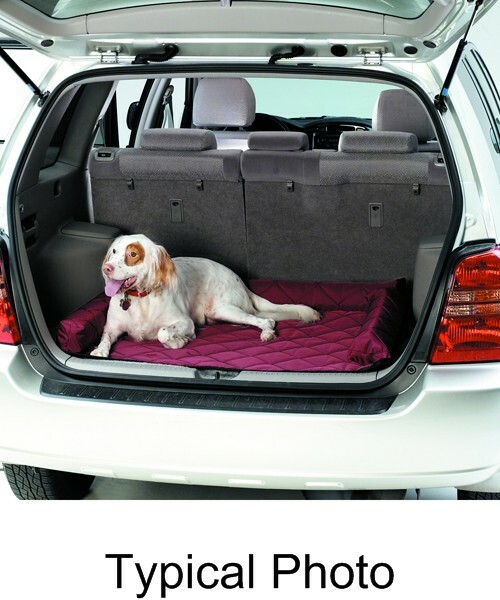 Canine Covers Universal Pet Barrier - Mesh - 30" x 18"
This universal-fit mesh barrier attaches to your headrests and seat frames to keep your furry, four-legged friends safe in the back seat of your vehicle. The integrated rear pocket stores leashes, treats, and toys for easy access. 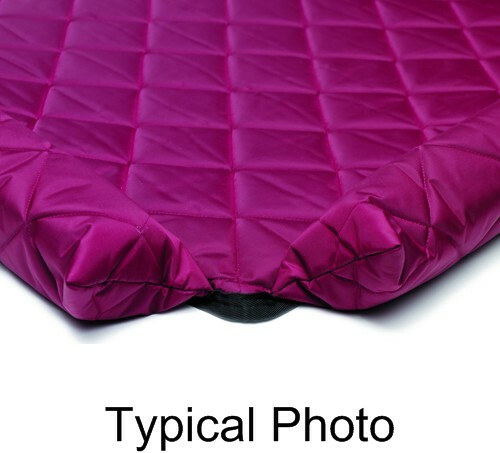 Covercraft Pet Pad Cargo Area Protector - Navy Blue - 40" x 32"
Order: RelevanceNewestRating - High to LowRating - Low to High This universal-fit, reversible pet pad and cargo area protector has a soft, quilted side to ensure your pets are comfortable on long trips. 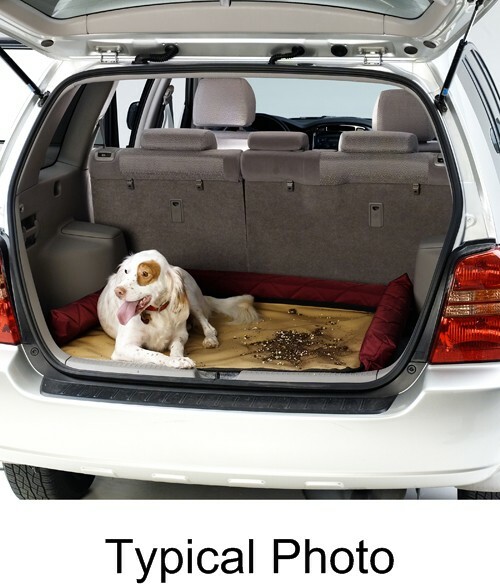 The heavy-duty vinyl side is perfect for transporting wet pets or hauling dirty cargo such as mulch or plants.